Tag Heuer last week announced its new generation smartwatch, co-developed with Google and Intel. The new Connected Modular 45 timepiece uses an Intel SoC, runs Google’s Android Wear 2.0, and is listed with 'expanded functionality'. Tag Heuer will also offer a variety of customization options for the new smartwatch and aim to address different market segments with the new product. Furthermore, the watchmaker says that the Connected Modular 45 design could easily fit a mechanical module and be converted into a regular timepiece. 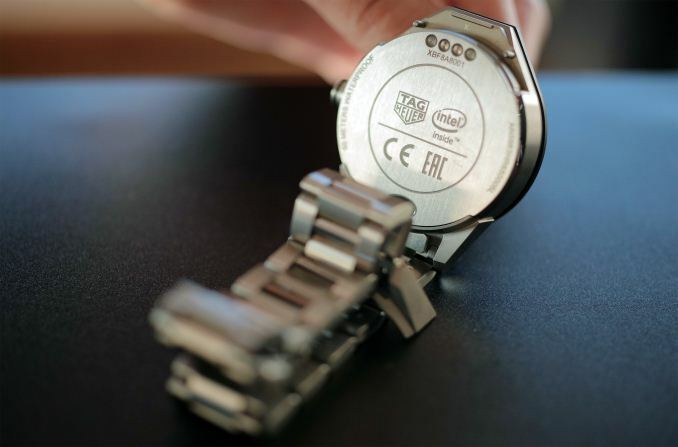 Tag Heuer, Google and Intel formally introduced their first-gen connected smartwatch in late-2015. The wristwatch was the first device of the kind for Tag Heuer and for Intel, and so it was largely a test vehicle for both of them. 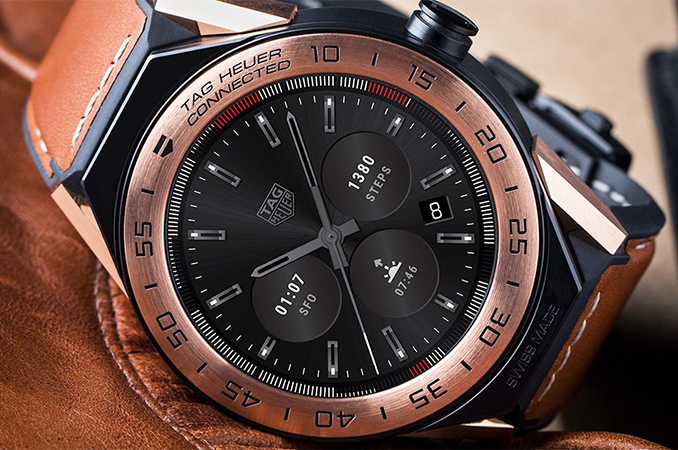 As it turned out, the Tag Heuer Connected was considered a success by its developers and with the second generation they decided to install a more capable computing platform, a better display and introduce customizable design options. 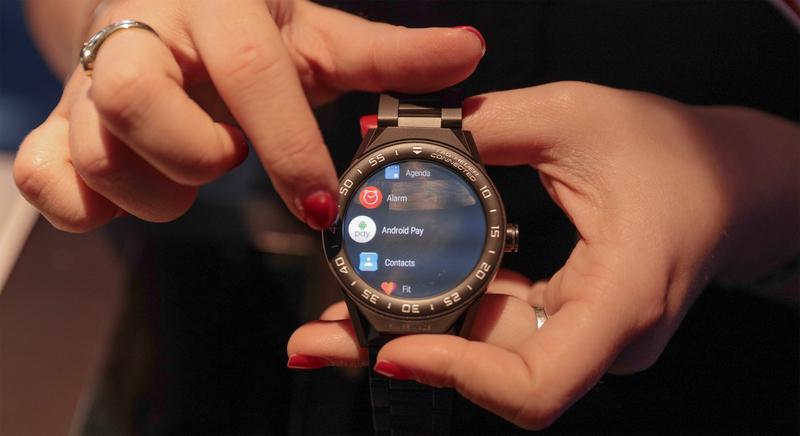 The use of Google Android Wear 2.0 should expand the overall functionality of the new smartwatch, in order to offer more features. Tag Heuer will offer different configurations of the Connected Modular 45: 11 standard versions available in retail and additional configurations upon request. Each timepiece consists of three key elements which users can mix and match: the watch module, the lugs, and the strap. All watch modules are made of grade 5 titanium 5 with a sand-blasted satin finish (of a chosen color), but users can choose bezels of different colors made of ceramic, gold, aluminum, titanium, and even covered with diamonds. The lugs can match the bezels and thus can be made of aluminum, titanium, ceramic and so on. Finally, the manufacturer will offer a variety of straps featuring different colors (black, brown, red, green, etc.) made of calfskin, rubber, ceramic or titanium. The central piece of the Connected Modular 45 is, of course, the watch module. The latter is based on the Intel Atom Z3400-series SoC (Merrifield, two Silvermont cores, 1 MB cache) equipped with 512 MB of LPDDR3 memory (down from 1 GB in the previous-gen model) and 4 GB of NAND flash memory. The device comes with a wireless module featuring Wi-Fi 802.11b/g/n, Bluetooth 4.1, GPS and NFC as well as a host of sensors, including an accelerometer, a gyroscope, a tilt detection sensor and an ambient light sensor. In addition, the module has a water-resistant microphone and a vibration/haptics engine, but no speaker. The most notable upgrade of the new Tag Heuer smartwatch is the new 1.39” AMOLED display, with a 400×400 resolution and 287 PPI, which is higher than many competing wearable devices. The display is covered with a 2.5-mm sapphire glass, just like many Swiss-made watches. As for the battery, the manufacturer states that it has a capacity of 410 mAh and claims it can last for up to 25 hours. Color Black, titanium, aluminum, gold, diamond, etc. All the Connected Modular 45 watch modules are 50 meters water resistant, just like mechanical watches by Tag Heuer. Now, speaking of mechanics, when someone buys the Connected Modular 45, they can easily switch the smartwatch module with a mechanical watch module that Tag Heuer offers: a moderately-priced Swiss mechanical movement module with 3 hands (calibre 5) or an expensive COSC-certified chronograph Tourbillon Heuer 02-T. Both are also water resistant. 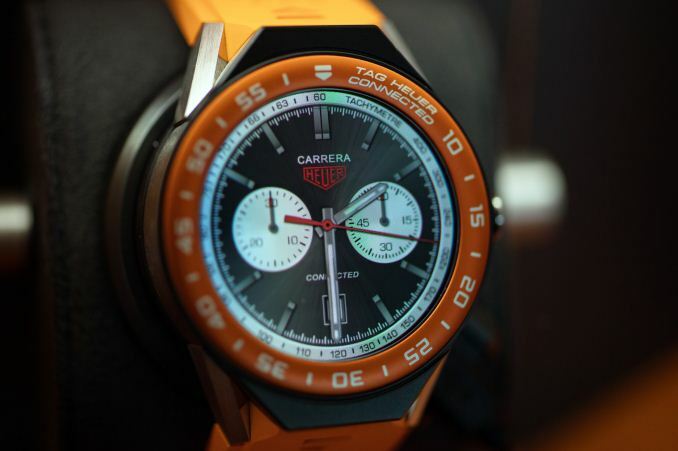 One of the things that Tag Heuer has learnt since the launch of the original Connected smartwatch is that there is a market for premium smartwatches. As a result, the Connected Modular 45 will be available at different price points depending on their external finish. The starting price of the smartwatch is $1650/€1600/£1400, but when fully beefed up with diamonds, their price increases to around $7000. Additionally, Tag Heuer offers the so-called Deluxe Box Set that includes one Connected Modular 45 (in grade 5 titanium, with titanium lugs and brown natural leather strap) and one chronograph Heuer-02T tourbillon mechanical module for a total price of €16,650/$17,000 (ex. tax). Both electronics and mechanical modules come with a two-year warranty. Sources: Tag Heuer, Google, Intel. "smartwatch with a "high end" brand stamped on it"